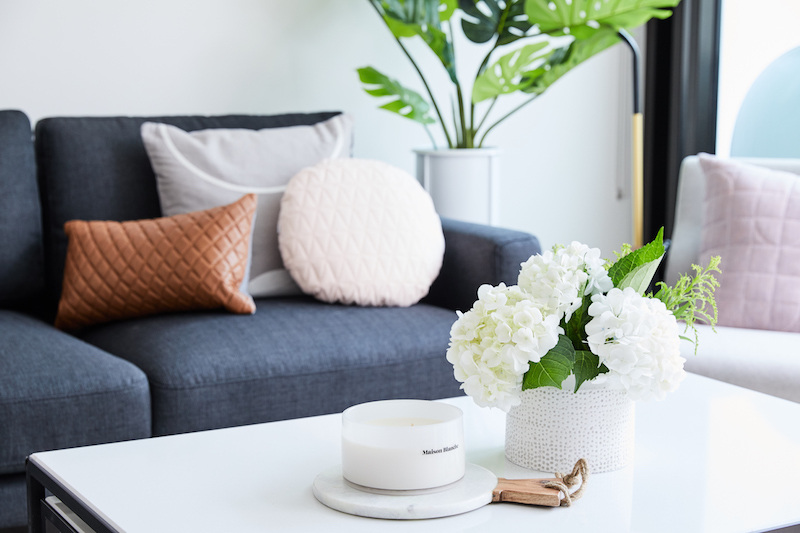 Online interior and homewares brand Zanui has released a new online series entitled ‘At Home With’ which is showcasing the homes of some of Australia’s favourite celebrities, which have been newly styled by Zanui. 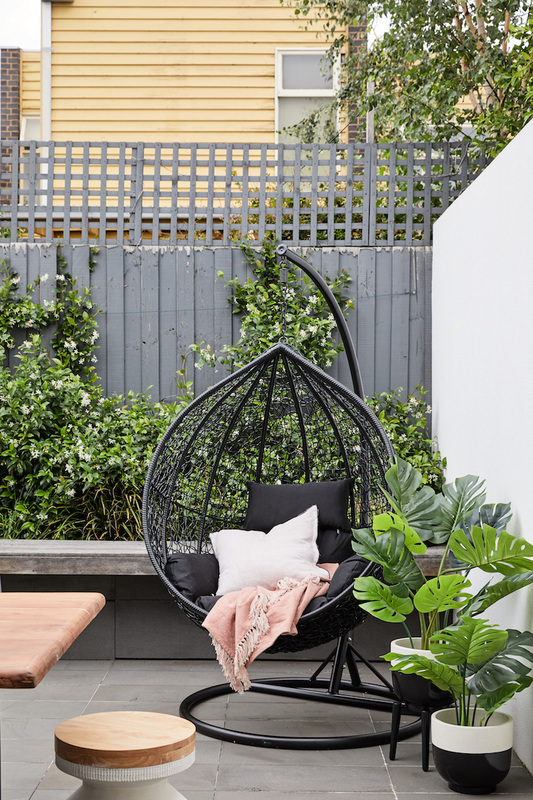 One of the first homes Zanui has transformed is of Australia’s former Bachelorette, Georgia Love and partner, Lee Elliot. Through Zanui’s wide range of high-quality products and their impressive selection of brands that suit and match all styles, they were able to help Georgia and Lee bring their own style to life as they moved into their new abode. “We could put certain items together, but it was the styling and those finishing touches that we needed help with to really bring it all together. We both have very individual styles so it was really fun to work out what our style was through Zanui’s offering and thanks to their expertise,” said Georgia and Lee about the experience. Watch Georgia and Lee’s ‘At Home With’ video below to receive some expert tips of how to style your home like a pro and how to re-create Georgia and Lee’s look in your own home. See the full ‘At Home With’ series on Zanui’s website here. The Print Society is a design studio that produces a range of homewares and objects with bold, modernistic and geometric hand printed designs. With a focus on pattern, colour and texture, The Print Society merges modern methods with India’s age-old craft traditions to create pieces with an adventurous spirit. Founder and designer of The Print Society, Karen was inspired after her adventure to India. It was here that she saw ancient wisdom and traditional techniques, the finest materials and metallic threads being used to create pieces of art. The Print Society's current range invites you to step into the desert. A barren land where earthy terracotta tones celebrate the outback’s dusty terrains. Launching in Melbourne in August, the S/S 2018 collection includes textile wall hangings, acrylic boxed framed paper prints on recycled cotton fabric. “Think purple haze and mist, mysterious portals and folklore,” says Karen. 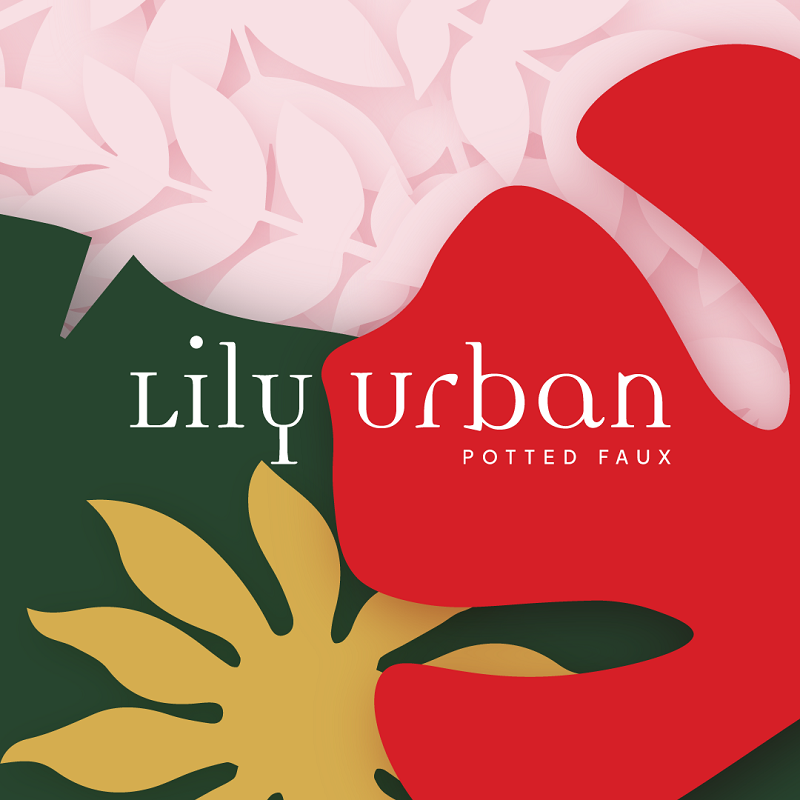 Lily Urban - Changing the face of faux, one pot at a time. Lily Urban is a boutique, botanical inspired décor business that creates potted faux indoor plants & botanical accessories. 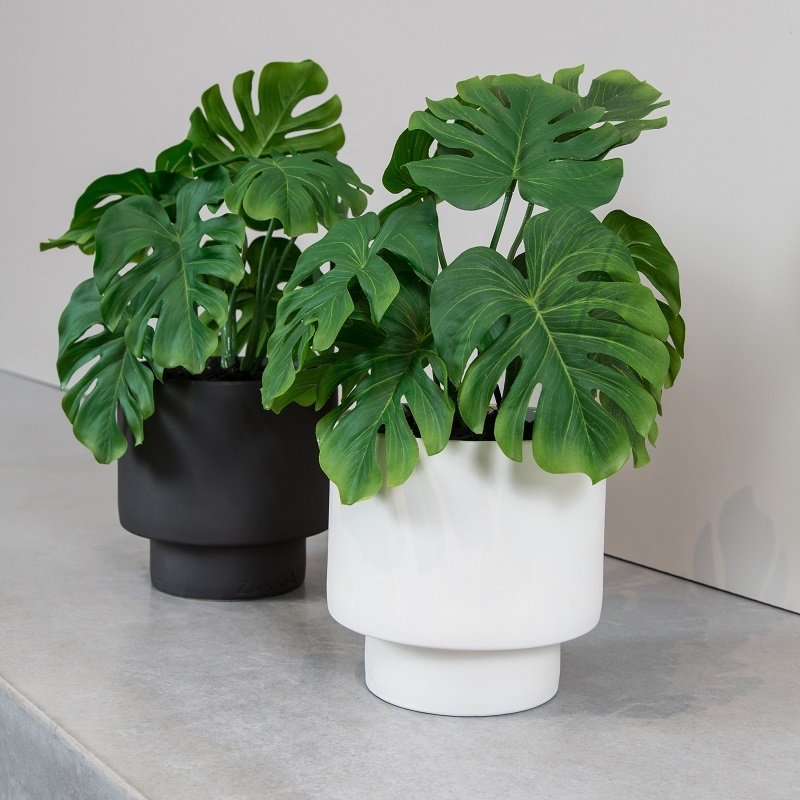 Their designer potted faux plant collections are an essential homewares accessory for all people living crazy, busy lives who love a touch of indoor greenery. 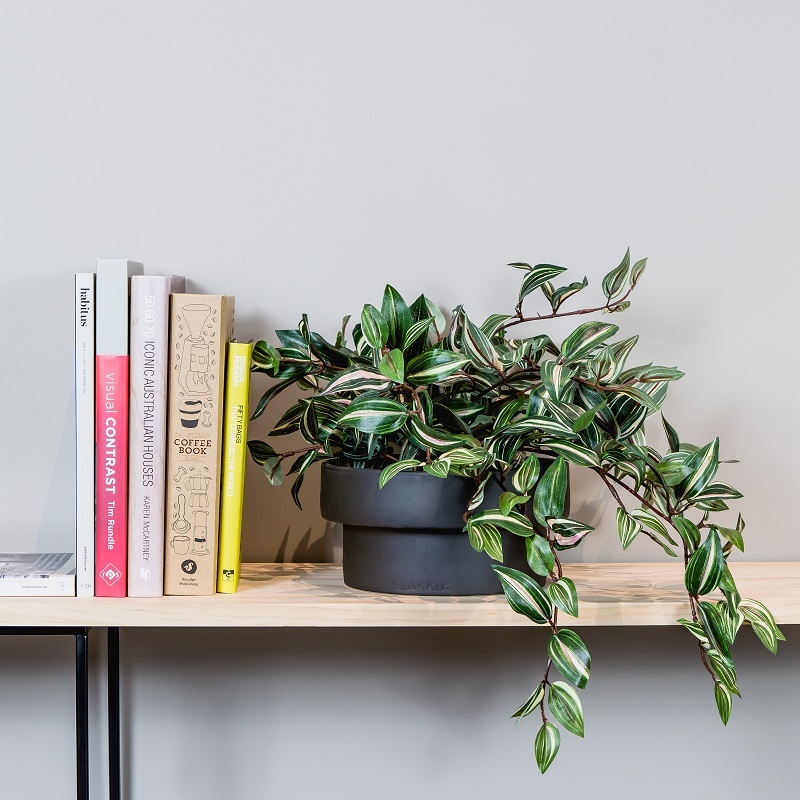 Lily Urban are not your typical potted artificial plant business. They don't mass produce generic, fake looking plants in ordinary pots, they create botanical beauties that are uniquely different.....curated & made to order using only first class faux and each one comes styled in a beautiful, handmade vessel. "It started with a home renovation…. Having completed a major extension, we continually had people unexpectedly dropping-in for a bit of a look and although the building was done, our fit-out wasn’t yet complete, we still needed furniture and other key pieces to make it a home. So to give it the quick lift it needed to make it more inviting, botanical's were my first thought! With fresh flowers not lasting long, and knowing that the quality of artificial's had dramatically improved since 'my gran's days', I knew that this could be the thing to fill the void. With many compliments from friends at my new faux botanical's (one even asked if they were from my garden!) and repeated queries about where I got them from, I looked into sourcing and started selling locally through word of mouth. 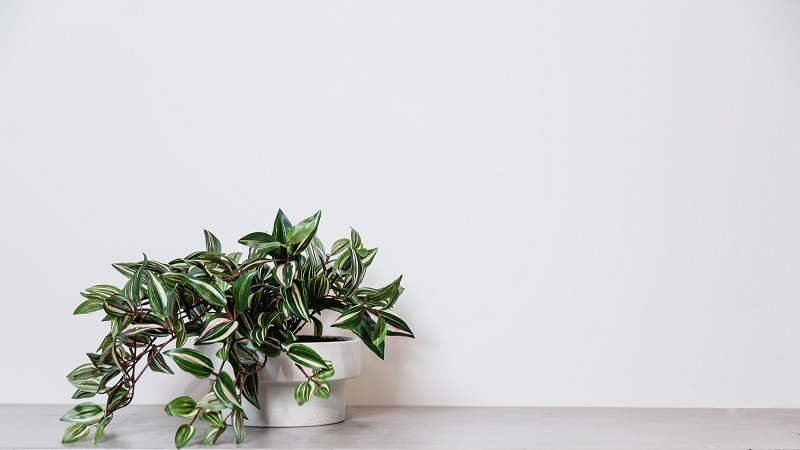 Fast forward a few years and house plants had started to explode in popularity, mainly because of our crazy, busy, urban lifestyles along with shrinking backyards and the growth in medium/high density apartment living. And all of these reasons meant the desire for indoor garden sanctuaries was on the rise. Identifying a gap in the market for high-end potted faux botanical's, I turned my attention to plants. My idea was to create a designer potted faux botanical collection that appealed to people with an eye for quality. Blown away by the life-like features of some species but hugely disappointed in the quality and style of vessels they were displayed in, I decided to source, curate and pot up my own... and so started my journey to 'change the face of faux, one pot at a time...'"
SHOP online here or from the Lily Urban studio in Bayside Melbourne (open by appointment only). If you book an appointment with Lily Urban make sure you take along photos of your home or office that needs green-scaping and they will transform your space! 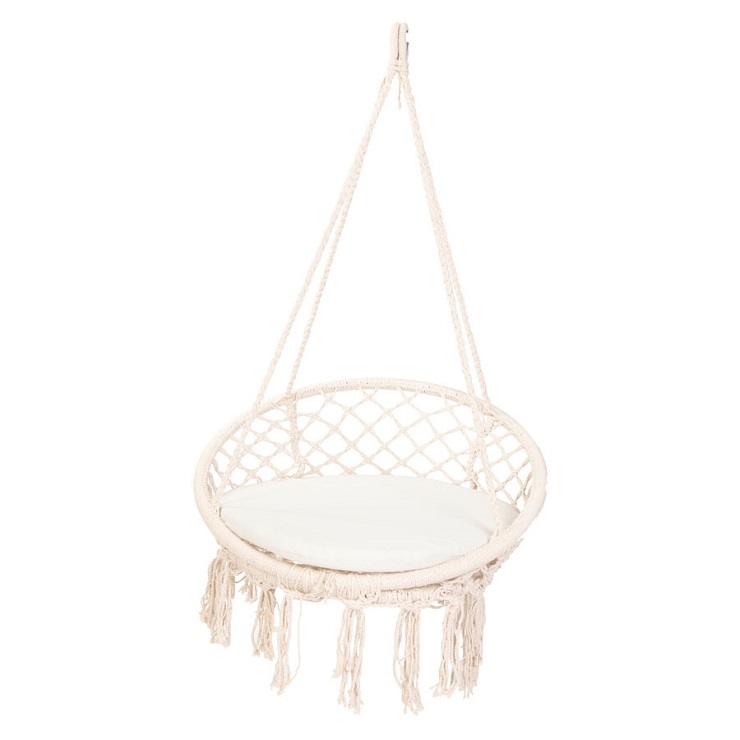 If you have always wanted to achieve that sought-after Bohemian look for your bedroom, or even for a stylish addition to your home, we have a selection of stunning products from Zanui, LaForma and BlackArrow to help you get started! TOP TIPS - to create the Bohemian look in your home by the BlackArrow Co girls, Jessi Deakin and Sarah Yarrow. - Break the rules. You don’t need to coordinate every colour, piece or pattern. Don’t be afraid to improvise - the more the merrier (to an extent)! Layers of texture, patterns and colours is what makes it so eclectic and charming! The key is knowing when to stop and pull back so as to not have every single piece overpowering the next. You want to ensure key elements are still able to stand out and act as a focal point in the greater scheme. - Create a story. Choose colours, patterns and textiles that have a history and tell a story. The bohemian style is all about global-inspired and collected elements. Pair treasures from your travels with vintage Moroccan rugs and cushions to nail the spirit of Bohemia! - Get creative with your wall art. The traditional framed artwork certainly has its place in the bohemian home, but you can mix things up and take your bohemian vibe to the next level by adding other types of wall art such as shell necklaces, macrame wall hangings, rattan display shelves and Juju Hats. Australia's newest and most progressive ceramic design studio has just launched. 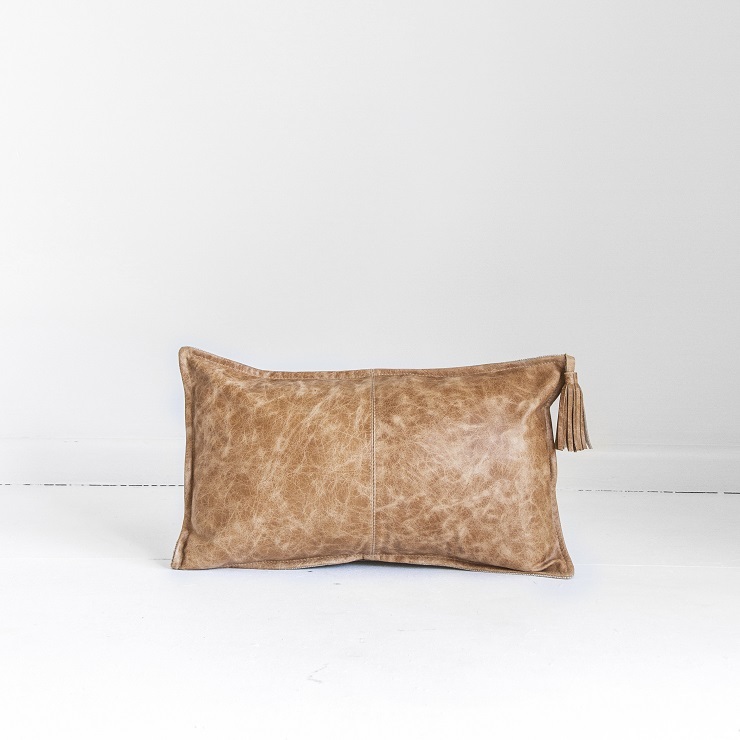 Delicately crafted in Melbourne R L Foote Design Studio has officially been launched. Brainchild of Melbourne installation artist, designer and chef Ryan L Foote, his collection focuses on creating contemporary ceramic flatware that re-imagines how food is served with intriguing, beautiful and fun tableware. Foote works mainly with porcelain to achieve the precise, crisp, sculptural forms and finishes; with these sculptural pieces bringing art to your table. Foote's diverse background provides a unique source of knowledge and inspiration for the studio's original ranges which are often inspired by his travels and cultural observations. Foote’s journey began when he studied Sculpture and Spacial Practice at the Victorian College of the Arts, he then moved onto designing sets for fashion shows across Australia as well as large art and event installations. As his careers collided, Foote's art practice became more immersive with elements of sound, lighting, fashion, food and drinking combining. If you’re a retailer looking for your next bestseller, Sydney’s Reed Gift Fair is your one stop ‘fair’ to source the latest that the interiors and homewares world has to offer! With over 500 wholesalers showcasing 1,000’s of new release product ranges, you will be inundated with countless well-known and brand new exhibitors from across Australia. Meeting the incredible people behind the brands you will be able to find out even more about their innovative new collections and new season ranges. Exhibiting brands across homewares, gift, fashion and jewellery, Reed Gift Fairs offers a multi-sensory experience to be able to see, touch and feel the products – enabling you to source the latest and greatest for your business’s online and physical shelves. Make sure you wear your comfy shoes as the show spans two levels with hundreds of retailers and they are expecting thousands of retailers to visit the show... there were approx. 13k visitations last year! It’s categorised by Homewares (including Home, Furniture & Interiors / Kitchen & Dining / Body, Bath & Fragrance), Gift (including Books & Stationery / Kids, Toys & Games / Gadgets) and Jewellery, Fashion & Accessories, in a department store style layout – so even though it’s big, it’s super organised and you can plan your days down to the T… so if you’re a super planner like me, this will make you very happy! And do not fear, the show comes complete with wine bars (YAY), pamper massage zones (HEAVEN), charging stations (SO SMART) and multiple food and beverage outlets for the ultimate retail trade sourcing experience… they’ve thought of everything! In a retail world that is constantly evolving - Reed Gift Fairs offers retailers the opportunity to learn from some of the industry’s best minds with their Retail Therapy Education Series which takes place between Sunday Feb 25 – Tuesday Feb 27. The education sessions cover social media boot camps, how to create digital content, tips for smartphone photography as well as how to get your website front and centre on the big world wide web! As well as the education sessions the show offers practical, take home tips and tricks to provide the skills needed for you to take your business to the next level! Registration is free and easy, so head to Reedgiftfairs.com.au/register today to make sure you get your ticket before you arrive!